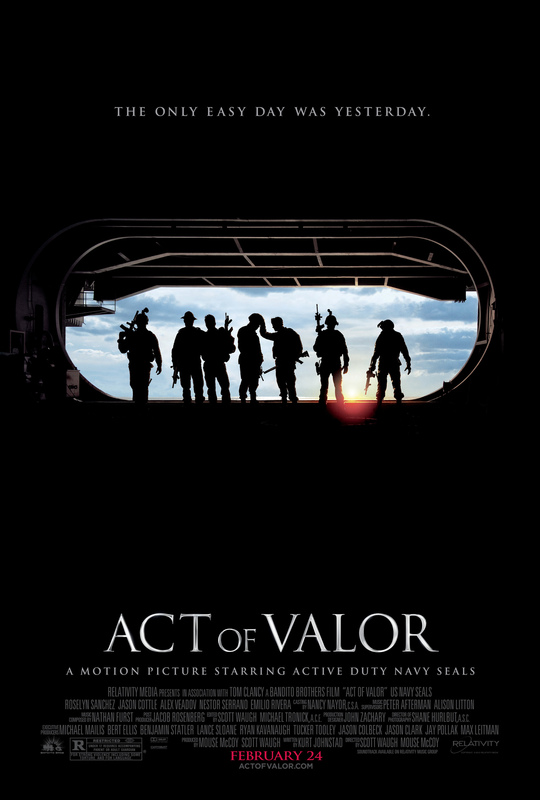 An unprecedented blend of real-life heroism and original filmmaking, Act of Valor stars a group of active-duty Navy SEALs in a powerful story of contemporary global anti-terrorism. Inspired by true events, the film combines stunning combat sequences, up-to-the minute battlefield technology and heart-pumping emotion for the ultimate action adventure. 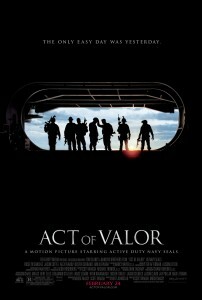 Act of Valor takes audiences deep into the secretive world of the most elite, highly trained group of warriors in the modern world. When the rescue of a kidnapped CIA operative leads to the discovery of a deadly terrorist plot against the U.S., a team of SEALs is dispatched on a worldwide manhunt. As the valiant men of Bandito Platoon race to stop a coordinated attack that could kill and wound thousands of American civilians, they must balance their commitment to country, team and their families back home. Each time they accomplish their mission, a new piece of intelligence reveals another shocking twist to the deadly terror plot, which stretches from Chechnya to the Philippinesand from Ukraine to Somalia. The widening operation sends the SEALs across the globe as they track the terrorist ring to the U.S.-Mexico border, where they engage in an epic firefight with an outcome that has potentially unimaginable consequences for the future of America. One pass (each admits two) per person. Theater is overbooked to ensure capacity. Employees of participating sponsors are ineligible. Screening is Thursday, February 16 at the AMC Creve Coeur 12 (7pm).